Manuel Antonio Park Costa Rica is the jewel of the Pacific Coast that is home to one of the top beaches in the world located within the Manuel Antonio National Park. It is one of the smallest parks in Costa Rica but it is the most visited due to its varied fauna with 109 species of mammals and 184 of birds. 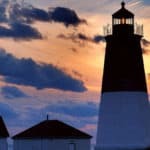 It’s popular because of its expansive white sand beaches flanked by an evergreen forest that grows right up to the high tide line. 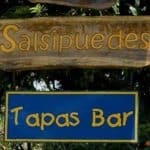 The town of Manuel Antonio is small but host several hideaway hotels and luxury vacation rentals. In this small town, you can enjoy the fresh fruits and veggies from the “feria” (weekly market), have a five star meal at many of the restaurants, hire a private chef to cook for you or mix in with the locals and join them eating a “casado” (typical Costa Rican meal) at any of the “sodas”(little local restaurants). 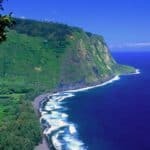 Whether you are a wildlife lover, adventure seeker or you just want to be a beach bum, the array of activities is endless and you can book several tours to help you enjoy your tropical paradise vacation. The region is a treasure for biodiversity, attracting nature buffs, eco-travelers and adventure-seekers alike. You will be able to see wildlife and hike the trails any time of the year. However, there are a few things to keep in mind about visiting this national park. The weather at Manuel Antonio is hot and humid with temperatures in the 90’s and high humidity. This area experiences typical tropical weather so you have the normal dry season from roughly beginning of December – end of April and rainy season from beginning of May to end of November. It is very crowded the end of December thru the end of April. This is high season and this park gets very crowded Weekends and holidays (New Years, Christmas and Holy Week) are very busy. July is also a busy month. The best time to visit and skip the crowds is September thru November. However, these months are the peak rainy months. Bring your swimsuit (there are changing stations) if you don’t want to wear it in, towels, water, sunscreen and mosquito repellent. If you’re visiting in rainy season, make sure you have a waterproof backpack or backpack cover. You can walk the trails with flip flops but hiking sandals are the best if you want to hike and go in the water. You don’t need to wear long hiking pants or shirts, the trails are nicely made with platforms. I suggest wearing shorts and a tank top because it’s so hot there. Just make sure to use mosquito repellent. For photographers or wildlife lovers, bring binoculars or a camera with good zoom lens (at least 250 mm) for photographing wildlife. Local carriers, Nature Air and Sansa, fly between San Jose and Quepos several times a day, with departures and arrivals from many popular tourist locations. Direct buses from San Jose depart from the Tracopa Station at Plaza Viquez in San Jose. The fare is $8 and departs at 6:00 a.m., 9:00 a.m., 12:00 p.m., 2:30 p.m., 6:00 p.m. and 7:30 p.m. This is a 3 hour bus ride. Private shuttle companies, Interbus and Grayline, offer door-to-door service between major tourist destinations and Manuel Antonio. Air-conditioned buses seat 10 to 15 passengers and have a bilingual driver. There are both morning and afternoon departures for Manuel Antonio for $45 per person, each way. Travel time between San Jose and Manuel Antonio is roughly three hours, depending on traffic and road conditions. Expect to pay around $5 in tolls in Costa Rican currency. To get around Manuel Antonio, you’ll follow a hilly two-mile main stretch of paved road that starts in Quepos and ends at the Manuel Antonio National Park. Quepos – the closest town to Manuel Antonio – is a small, walk-able commercial hub with a bus station, marina, restaurants, banks and shopping. The route from there to the park is lined with a series of hotels and restaurants that ends in the very small beach-side town of Manuel Antonio – also walk-able. The public bus is the easiest way to get around, it’s cheap, comes around every 30 minutes and drives between Quepos and Manuel Antonio on the main road, but then again taxis aren’t too difficult to find either. Public buses run between Quepos and Manuel Antonio carrying passengers to Manuel Antonio National Park and back. The trip takes roughly 25 minutes and has several stops en route. Buses run from 5:45 a.m. to 9:00 p.m. Buses depart every half hour or so and cost about 65 cents each way. Several hotels and roadside stands offer bicycle rentals for around $15 per day. Both are inexpensive, but the road between Quepos and Manuel Antonio is extremely steep and hilly; a challenging ride for even experienced bicyclists. There are plenty of taxis on hand for visitors without a car. Official red taxis have a bright yellow sign on the side and are always equipped with a meter, but that doesn’t mean they’ll always use it. Make sure you negotiate taxi fare before you get in to ensure you get the best deal. Twice a day the tide floods the Damas Island estuary forming a series of canals that weave through the tangle of trees and fallen logs that make-up the mangrove forest. Capuchin monkeys hide among the branches of the trees, swinging, scratching, playing and eating. Nearby, boa constrictors camouflage among the branches while hungry American crocodiles float idly beneath. Herons and other waterfowl perch on the dead logs of fallen trees and deep in the canopies hide the world’s smallest anteater, the pygmy anteater. You can book 2-hour boat and kayak tours to Damas Island through a number of eco-tour operators in town. Excursions include transportation, beverages and a bilingual naturalist guide. One of Costa Rica’s most popular beaches, Playa Manuel Antonio frequently hosts parties and festivals, and it is an ideal destination for avid surfers. This beach is host to tidal pools and offers the opportunity to go snorkeling. Rated as one of the top ten most beautiful beaches in the world, Playa Manuel Antonio is a half mile long with white sands and bordered by deep green mangroves and palms. Also known as one of the best swimming beaches in Costa Rica, Playa Manuel Antonio can get busy early in the day – be sure to arrive before 10 am to secure your spot for the day. Since 1999, Kids Saving the Rainforest has been rescuing and rehabilitated rainforest animals that are injured or orphaned in the wild. They treat over 130 animals a year and are one of the most well-respected wildlife centers in Costa Rica. KSTR made international news earlier this year after performing the world’s first ever C-section in an effort to save a mother sloth and her baby. You can tour the Kids Saving the Rainforest wildlife sanctuary to learn more about this organization’s amazing work and of course to see some creatures close up. 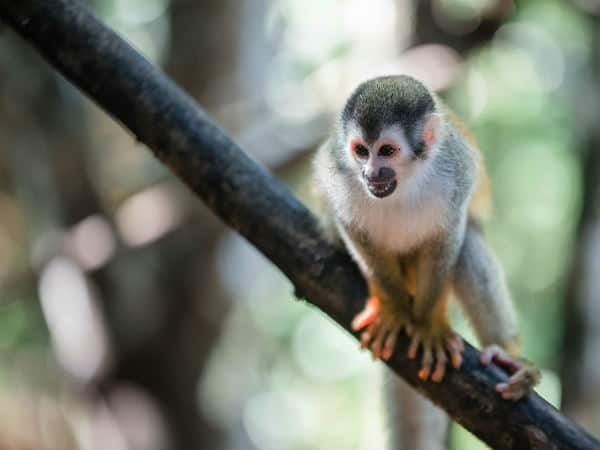 Some of the animals you might see on the tour are several types of monkeys, including spider monkeys, white-faced monkeys, squirrel monkeys, tamarins, marmosets, as well as sloths, kinkajous, and parrots. Playa Biesanz is a deep cove with sparkling turquoise water and peaceful jungle surrounds. It’s a favorite beach among the locals, and on weekends, you’re likely to see families stocked up for the day with bags full of food and maybe even hammocks. The best part about Playa Biesanz is that, while many of the beaches in the Manuel Antonio area have rougher water, Biesanz has calm water that is perfect for swimming. This makes it a great place to bring children. 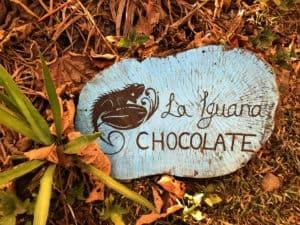 One of the most delicious tours near Manuel Antonio is the La Iguana Chocolate tour. The Salazar Garcia family has been farming a four hectare (10 acre) plot in the mountains of Mastatal for nearly 30 years and recently started focusing on cacao. They grow some of the finest bean-to-bar organic chocolate, flavoring it with fruits and spices that come straight from the farm. Costa Rica Jade Tours is a local tour company in beautiful Manuel Antonio. 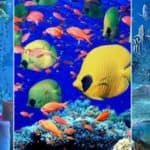 They offer the best activities and tours to help make all your vacation dreams come true. Let them help you discover the most exciting adventures and exotic treasures from this spectacular land. You may never want to leave! For more information call +506 2777 0932, or visit them on the web at Costa Rica Jade Tours. White Water Rafting in Costa Rica or Kayaking along the Manuel Antonio’s coast will make your Costa Rica family vacation unforgettable! Enjoy all the water sports that Manuel Antonio, Costa Rica has to offer you. From world class whitewater rafting at just 30 minutes from the famous Manuel Antonio National Park, in Savegre and Naranjo rivers to Ocean Kayaking along the beautiful Quepos coast line or Mangrove Kayaking at the Damas Island estuary. For more information call +506 2777 0082, or visit them on the web at Amigos Del Rio. They offer surf lessons School for all ages, paddle board tours, beach tours, kayaking, and SUP. The surf school offering lessons ideal for all ages and experience levels. They are centrally located at MA beach. 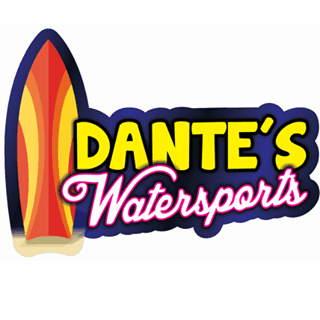 For more information call +506 2777 4000, or visit them on the web at Dante’s Water Sports. Quepos Sailfishing Charters has been offering the top performing sport fishing charter boats and crews for over 13 years. They offer full day, 3/4 day, and 1/2 day tours. They offer conventional and fly fishing options for the angler or the novice. 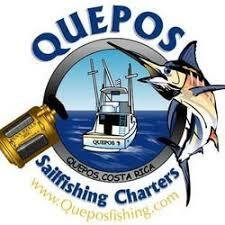 For more information call +506 8746 3970, or visit them on the web at Quepos Sailfishing Charters. Aguas Azules is your ultimate source for adventure and fun at Manuel Antonio Beach. Relax knowing you are in experienced and secure hands as you Parasail with them and enjoy a bird’s eye view of the Manuel Antonio Coastline. Spend the day with them at the beach as they also offer chairs and umbrellas where you can relax for the day, banana boat rides, wave runner rentals and tours, waterski/wakeboard tours, snorkeling tours, private sunset tours & surf lessons. 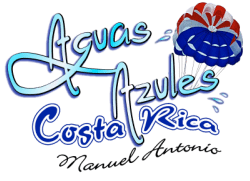 For more information call +506 8366 0227, or visit them on the web at Aguas Azules Parasailing & Watersports Tours. For fine dining and first-class service, head to La Luna Restaurant at the luxury Gaia Hotel. You will be whisked away by friendly hotel staff on a golf cart to the plush open-air restaurant on top of the hill. The five-star, open-air restaurant atop Manuel Antonio’s Gaia Hotel & Reserve, boasts panoramic views of the Pacific and surrounding rain forest—surpassed only by the killer menu of tenderloin steak, ginger-and-panko-crusted tuna in a sesame viniagrette, and innovative vegetarian options (think mushroom risotto). In the morning, the kitchen at La Luna Restaurant turns out huevos rancheros, sweet mango juice, and Costa Rican coffee. For more information call +506 2777-9797, or visit them on the web at La Luna Restaurant at Gaia Hotel & Reserve. Rafael’s Terrazas is a friendly, locally owned restaurant that serves upscale Costa Rican cuisine. The lunch menu has sandwiches, salads (the fresh tuna salad is recommended), seafood dishes, ceviche, and pasta. The dinner menu has more refined dishes that incorporate sauces like Mahi-Mahi in lemon and tuna in ginger-wasabi. The ocean view at Rafael’s is outstanding and we’ve even seen whales breaching while dining. This casual spot is kid and dog friendly. For more information call +506 2777 6310, or visit them on the web at Rafael’s Terrazas. Manuel Antonio doesn’t have a lot of options for dining near the beach, but Marlin is a good one. This open-air restaurant serves traditional Costa Rican dishes like casados and fried snapper, but also has American classics like sandwiches, burritos, and fish tacos. Marlin is a popular spot during the day with people relaxing with a cool beverage after soaking up the sun or walking in the national park. Places come and go, but this restaurant has been around for a long time. For more information call +506 2777 1134, or visit them on TripAdvisor at Marlin Restaurant. Barba Roja has been in Manuel Antonio since 1975. Even in the low season, this chill restaurant/bar is a fun spot to hang out. Both tourists and locals come for the delicious food and good vibes. The menu, which has been recently updated, includes smoked ribs, sushi, and fresh fish dishes. Tuesdays are still big with 2-for-1 burgers and live music. Sunset is spectacular as well, as the restaurant sits high on the hill. For more information call +506 2777 0331, or visit them on the web at Barba Roja. About 100 meters north of the elementary school in Manuel Antonio, the wooden, blue seafood restaurant Mar Luna sits on a hilltop overlooking the treetops and sea coast. The view, especially at sunset, is spectacular, but it’s the fresh seafood caught each morning by the cooks that attracts so many customers. Grilled over volcanic ash (instead of charcoal), the sea bass, red snapper, mahi mahi, and lobster are infused with a flavor that is distinctly less smoky than the norm. Live Latin music accompanies the evening meal from Thursday to Saturday. For more information call +506 2777 5107, or visit them on the web at Mar Luna. 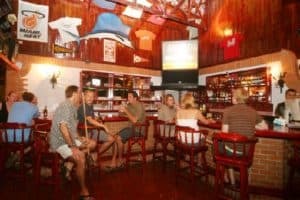 As one of Manuel Antonio’s first restaurants, this is still one of the best places to go for sunset cocktail hour and local beers on tap. 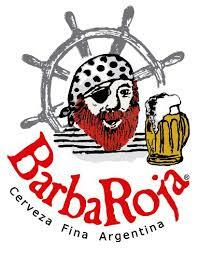 For more information call +506 2777 0331, or visit them on the web at Barba Roja. With large-screen TVs and pool tables, Manuel Antonio’s consummate sports bar fills up on game nights. Ladies’ Nights are on Monday and Friday, and there are free Latin dance lessons on Thursday. You can also try your luck in the casino. For more information call +506 2777–0411, or visit them on the web at Billfish Bar. This colorful tapas bar hidden behind tropical foliage is a great sunset venue. It’s one of the few places you can enjoy a quiet drink, except on Monday and Friday when they have live music (December–June). For more information call +506 2777–5019, or visit them on the web at Salsipuedes Tapas Bar. This upscale Italian restaurant is also a popular nightspot, with classical guitarist Rafa Mora performing most evenings. 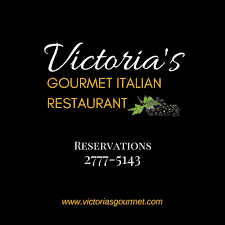 For more information call +506 2777 5143, or visit them on the web at Victoria’s. Night owls and people looking to dance can find live salsa and merengue music at Bambu Jam. 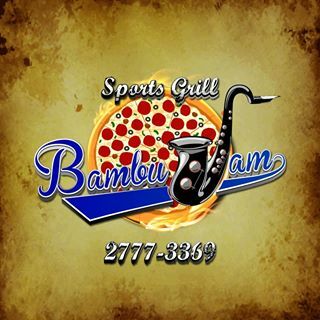 For more information call +506 2777 3369, or visit them on the web at Bambu Jam. A luxury, boutique resort, located in Manuel Antonio Beach, Costa Rica, is a 5 star eco-friendly hotel. An ideal blend of modern amenities and natural scenery for guests to enjoy. Their hotel´s well-appointed, terraced suites and villas offer you amazing views of lush and pristine surroundings that are beyond compare. They offer a variety of top services such as fine dining in their on-site La Luna restaurant, luxury spa treatments at Terra Spa, gym, pool, one day tours, plus the availability of many personal services. Indulge yourself with their personalized services in an eco-friendly environment. For more information, pricing, or to reserve your room, visit Gaia Hotel & Reserve. Tulemar is a thirty-three acre residential resort located right in the heart of Manuel Antonio, Costa Rica. They have a collection of over 50 unique and individual accommodations, top-rated on TripAdvisor, ranging from 1-4 bedrooms including our Tulemar Bungalows, the Buena Vista Villas, the new Tulemar Bamboo Villas and their luxurious Private Villas. The property is surrounded by jungle and the wildlife is abundant; you’ll see monkeys, sloths and exotic birds throughout the property and on our hiking trails. At the Tulemar Beach you’ll find warm, tropical waters with a sandy beach and lots of shady palm trees plus free lounge chairs, umbrellas, kayaks, boogie boards, towels and food/beverage service. For more information, pricing, or to reserve your room, visit Tulemar Resort & Beach. Located within walking distance of Manuel Antonio National Park, Arenas del Mar is unique among the resorts in the area. This luxury hotel is set within 11 acres of private nature reserve, where the rain forest meets the Pacific Ocean. Their 38 suites and rooms offer sustainable, luxurious lodgings — set in perfect harmony with the natural surroundings. You’ll feel right at home with their warm staff and personalized service. With a strong focus on fresh, wholesome and local food, you’ll eat well at their two world-class restaurants. For explorers young and old, there’s no shortage of adventures to be had and wildlife to be spotted. And for those looking for a little bit of “pura vida” wellness, you’ll find it while relaxing in their spa and on their beaches. For more information, pricing, or to reserve your room, visit Arenas Del Mar Beachfront & Rainforest Resort. Boutique Hotel Makanda By the Sea provides fully equipped fancy villas and studios carefully placed in rainforest gardens, 100 meters above the ocean. From this vantage point, you will enjoy breathtaking sunset views of the sixty mile coastline and a diverse host of the plant and animal wildlife of Costa Rica’s southern Pacific coast. Luxury and stylish, with 2 amazing infinity swimming pools with huge Jacuzzi, high-end restaurant with international Cuisine and open bars, private beach and spa. For more information, pricing, or to reserve your room, visit Makanda By The Sea. The Hotel Vela is a modern and quiet hotel exclusively for adults and only 5 minutes walk from one of the best beaches in Costa Rica and also at the entrance of the famous Manuel Antonio National Park. The rooms are built in an oasis of peace, around green gardens and refreshing pool, all have anatomical mattresses and bedding made with Egyptian cotton, air conditioning, plasma tv, Internet WiFi, safes, minibar, coffee machine, bathrooms with shower , hairdryer, amenities, beach towels and free parking is also available. Breakfast buffet included. For more information, pricing, or to reserve your room, visit Hotel Vela Bar. Oh wow, Leahrae…you have once again outdone yourself with this article. I love it!! I have visited Costa Rica before and I sure wished I had this article in my back pocket. One thing for sure is this – I will be going again and will most definitely be using your article as my guide. You have covered just about everything and I am a happy camper! Thanks for visiting beach travel destinations Michelle, and I am glad you found the information useful for your next trip to Costa Rica. I’m so glad Tiffany. I would love to help you plan your dream vacation when you are ready and I know that I could help you save some money for it as well. Thanks for visiting Beach Travel Destinations. Hi what a great site, so informative, personally I love going to Thailand but after seeing some of the reviews on your site I might decide to go somewhere else next year. Thanks for sharing. Oh there are so many wonderful places to visit for sure. And Costa Rica is just absolutely beautiful and definitely worth a vacation to. Thanks for stopping by! Love the amount of information provided! from the attractions around the locale area to the choice of clothing to take. Definitely one to read if going on holiday. Thank you Bradley, and for visiting Beach Travel Destinations! This is such a breath-taking destination. I surely must visit someday! Breath taking it is! Thanks for stopping by Mitala. What an informative article about Manuel Antonio Park Costa Roca! 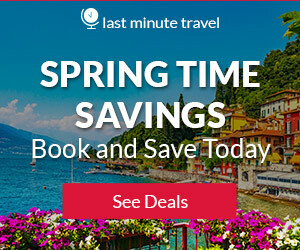 You have tackled all the travel information needed for a great travel. It looks like Costa Rica is a beautiful place to visit to. I would love to go there in the future. You will have to start planning Dan! I think that you would have a wonderful time. Please let me know if I can answer any other questions for you, and thank you for stopping by and learning about Manuel Antonio Park Costa Rica. Manuel Antonio Park Costa Rica looks amazing and the wildlife sounds like it would be a thrill to go and see. My main concern is the humidity and rain since you have said that the best time to go is far too crowded. One other area I have forgotten to ask about before is how bad are the allergens in these types of tropical climates? It took me over 20 years to get used to things where I am from and I really don’t want to go somewhere nice to only have to struggle to find a way to breathe. Hi Eric, and great question. Because Costa Rica about seven months of rain, and three months of very windy weather allergens flourish in tropical country like Costa Rica. So you will find that the allergens might be a bit higher than what you are looking for. This is definitely something to take into consideration. Please let me know if you have any other questions. I think I just found another place to add to my bucketlist to travel to! Once again another beautiful location! I love reading these posts. 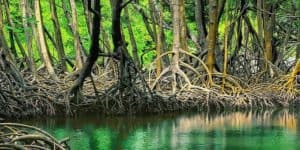 A quick question regarding the Damas Island Mangroves; so when the tide ISN’T in, is it just regular forest, or would you be able to tell that it is often submerged? I’d really love to see that up close. Yes, when the tide is not in, you cannot go thru the “canals” which are made by the tides. 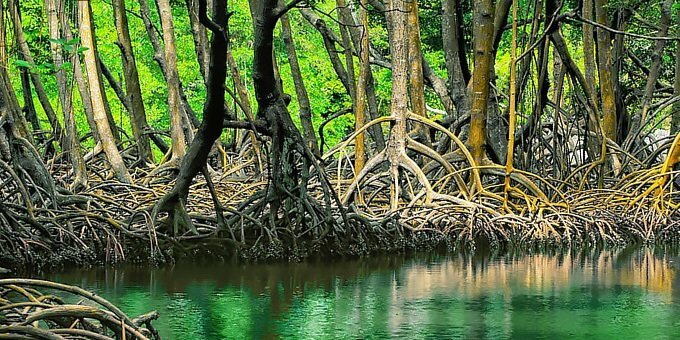 You have to plan your trip to the Damasx Island Mangroves when the tide is in. But, it is in twice a day, so I think it can be easily done any day that fits the vacation schedule. Thanks for stopping by and taking the time to leave me comments. Wow! This is a wonderful and very inspiring article! I love how you described Manuel Antonio Park and the video is beautiful too. Also, Playa Manuel Antonio looks like heaven on earth. I’ve never been to Costa Rica but I put it on my bucket list now. Thanks for sharing this valuable information about that beautiful place. You are so welcome Blanka! If you love beaches and beautiful destinations, than Costa Rica is a must on the bucket list for sure. Thanks for visiting Manuel Antonio Park Costa Rica! This looks like a very nice place to visit! My husband and I love to travel to different places and explore natures wonder! This can be added to our bucket list for sure! Thanks for sharing and will surely check back in here. You are welcome Kris. Definitely fits your type of vacation 🙂 I am glad you enjoyed, and thank you for visiting beach travel destinations. Hi! Sounds great to me. More than the trip I’m more concerned about the budget. Is it suitable for an economic travel? Probably not going to be too economical, but this is a destination of a lifetime 🙂 You should consider it! Another amazing post Leahrae. Keep up the good work because I enjoying reading them. Thanks for your amazing article , I love to travel now i think Costa Rica will be my next destination , I’m glad to find your website and will keep my eyes on it . Great Aly! I am glad you enjoyed reading about Manuel Antonio Park Costa Rica. Please let me know if you have any other questions, and thanks for stopping by! WOW, I didn’t know that Costa Rica was so beautiful! My son has recently finished college and now he wants to discover the world:) He plans to travel to Costa Rica in December with some of his friends, and he is really excited about it, which I understand:). I will show him this article. It will give him some good ideas of where to spend times. Just a question, you surely know what is like to be a mom:) We all worry sometimes, don’t we? Is the park protected or everyone can touch the animals? I don’t want to be paranoid, but we never know. Is there a medical center near the park? Hi Daniella, and thanks for visiting Manuel Antonio Park Costa Rica. I totally understand about the worry that just comes with being a mom. Yes, there are plenty of medical facilities there in the park should he need it. They have also taken great precautions to make sure that visitors are safe. He will have a wonderful time! Great park in Costa Rica with a great beach. 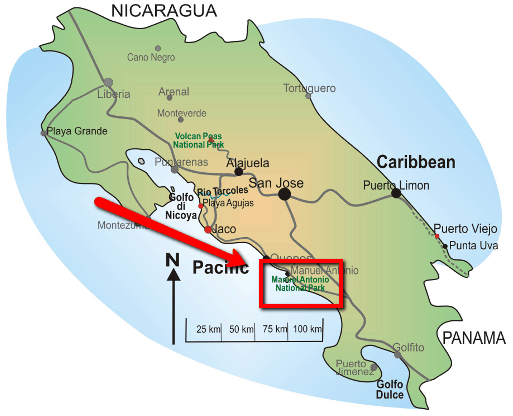 My wife has relatives living in Costa Rica so it is a place that we would want to visit. Very nice video. 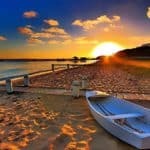 There is so much to do there and the price is reasonable as well. Costa is a gem in Central America. You are right Mick about it being a gem in Central America. Beautiful and also plenty to do. Thanks for visiting Manuel Antonio Park Costa Rica. Costa Rica is one of m favourite destinations, I will definitely be going back there and with your suggestion on what to do when I go back is a big help, thanks for sharing this information. this is a great post, so keep more coming. You are very welcome Chris and I am glad you found my review helpful. I agree that Costa Rica is one of those places that you just keep going back to. Thanks for visiting beach travel destinations. Hi Leahrae, I find your site as I am looking to book a trip to Costa Rica for the Holidays. That will help me a lot in my preparation. Do you think that around Christmas it is a good time to go to Costa Rica? Yes Carole, you will find Christmas to be a great time. The water may be a bit cold, but there is so much more to Costa Rica, especially Manuel Antonio, that you will have a wonderful time. Please let me know if you have any questions. You are very welcome Rob! 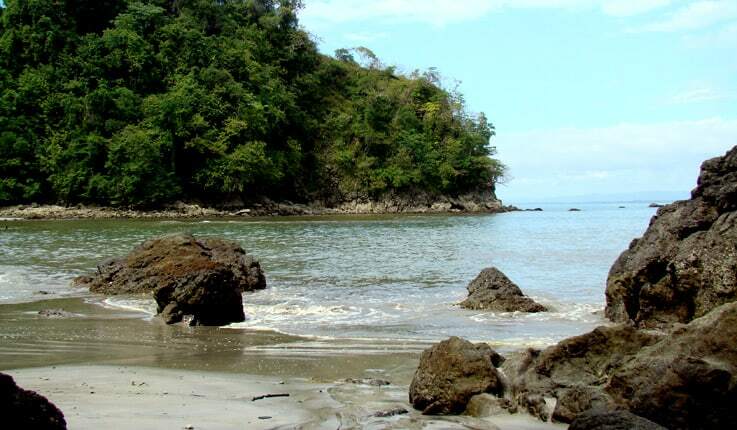 I am glad you enjoyed reading and learning about Manuel Antonio Park, Costa Rica! Very similar in beauty to Puerto Rico. Both are beautiful destinations for sure. I love this post. There are so many wonderful things about Costa Rica. Rich coast. Rich in many ways! I like your map. Really helps out the average person with geography to help place the location. Kids Saving the Rain Forest is a great idea! Excellent place to take a family. I want to go. There is also a great fruit festival in Costa Rica every year. Have you heard of it? Would love to go to that, but everything costs money. Thanks again for sharing this valuable info. You are so welcome Robert, and you are right. Costa Rica is wonderful destination…. so rich in many ways. I had not heard of the fruit festival…being a fruit love, I can see myself going to this. Thanks for visiting Manuel Antonio Park Costa Rica.